A man named Mr. Jason from USA will come to Suzhou for his company and visit me here! He read the Mr. Odd Todd webbing and send me the message that he will visit! That is the excite news! He is the first person from the Odd Todd webbing that will visit me! I will take him to eat at special Spicy Duck Neck restaurant. I remember the funny story to say now. Two year ago when I was younger I see the famous man name Yao Ming on the train that go from Shanghai to Suzhou . He is the basket ballman and is very tall. He had many Army people around him to guard him but they give him the hard seat train, that is strange. Many people stare at him and talk to him becase he is very famous and rich in China . Then when he get off the train he blump his head very hard on the light in the tunnel when you walk from the train. Everyone laugh on him for long time, but he never smile, he is always serious. 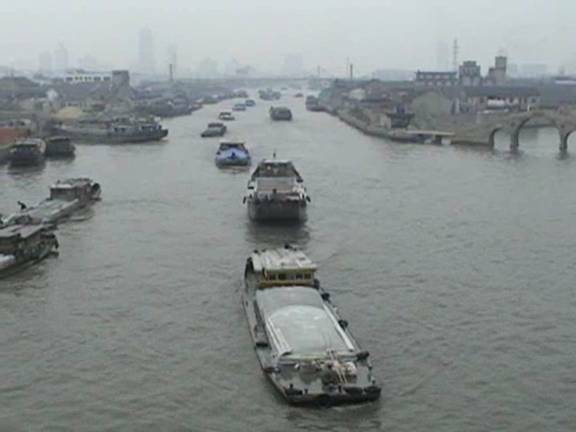 The large boat on the Grand Canal that go around Suzhou . There is a high bridge over that, and I takes this photo from that place. You can see the big building in the far away that is in the Suzhou New District. 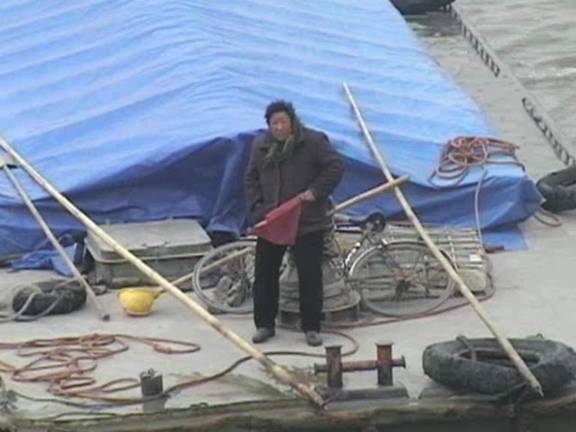 The old woman that live on the boat. 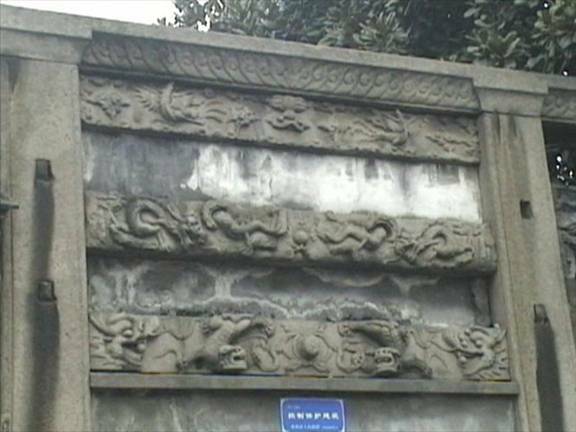 My book of Suzhou say this is the stoned arch in front of the Shrine of chastity for Lady Cheng on Shangtang Street . 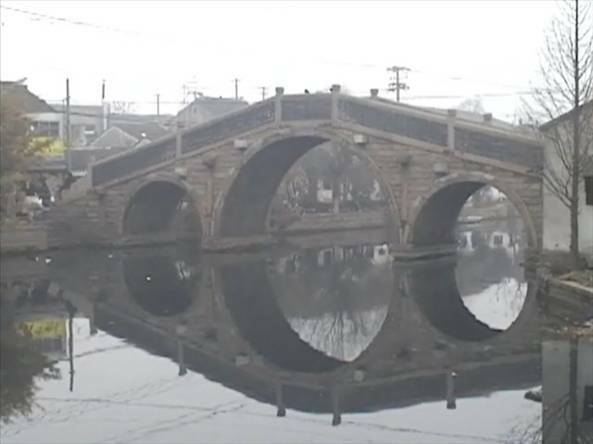 The large 3 arch bridge named the Bridge of Universal Benevolence . It is from the year 1494 in Ming time. 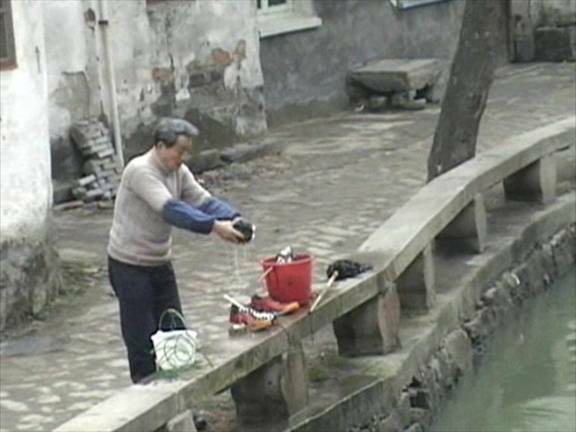 The old man is washering his cloths in the canal. 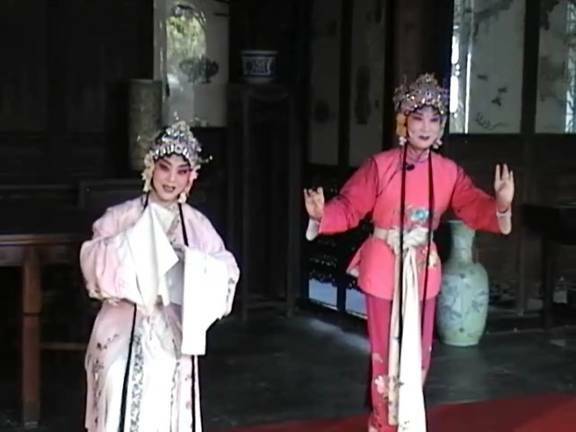 The Suzhou opera singer dancering and singing at the Garden for Lingering In. It is the old story of the married woman and her servant. The servant say to the married woman to go outside to discover the world and then the married woman do that thing and is happy becase at that time it is forbidden for the woman to do that. 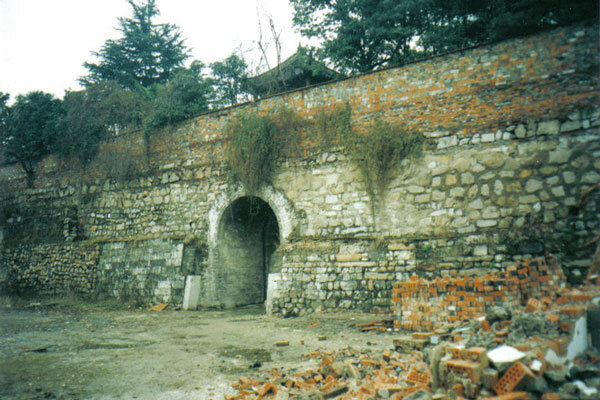 The Xumen gate in the wall around the city of Suzhou . Soon it will be torned down becase it is so terrible. The ancient canal water is very smellsome in this place. 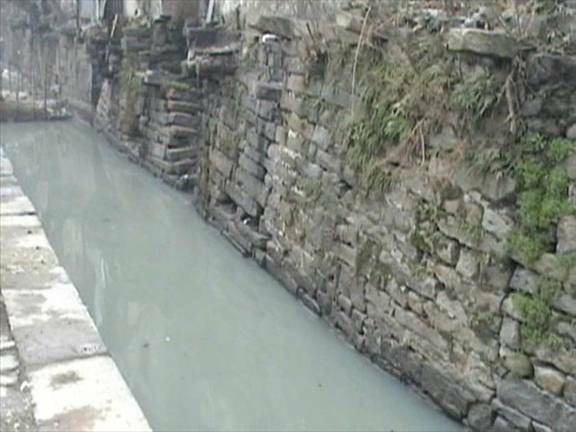 The government is trying to make the water clean again. The relative in my family is fishering. 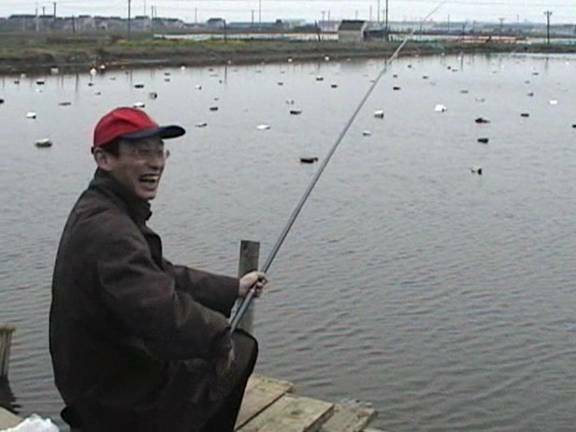 In this place you can catch many fish for eating becase the fish grow here! 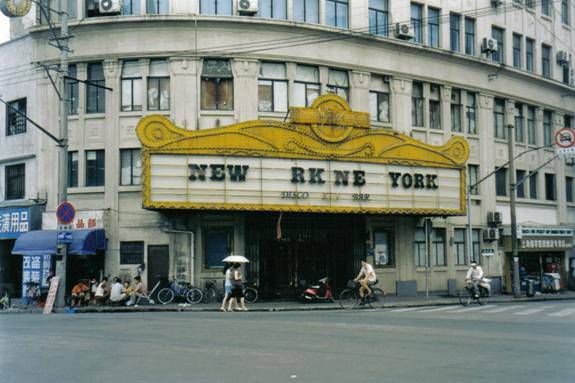 A long time ago my school friend open the KTV place named “ New York New York ”. But then he close it becase the thing is in the bad place with no people. Now he open it in a new place named “Yow” using the letter from this sign and everyone like that! KTV mean karaoke singing house. Many people send me the funny message and it make me so happy to read the writes from the forgeiner! Many people ask me if in China the people eat the dog, and I say we do not eat that thing here. In USA the people eat the hot dog sometime I think. Also many people ask me about the night soil pot. It is for the feces to go into that, then the farmer will throw that onto the rice field to make the plant happy. Thank you for everyone to send me the message! I will always try to write to you and praise you to be so kinding. I use the computer at the CPU bar so can not write each day but will I try to answer you soon as the future! October 1 is a holiday in China so everyone will want to rest and eat the food. If you want to chat on me go to [email protected] but you do not have to do that if you do not want to do that.